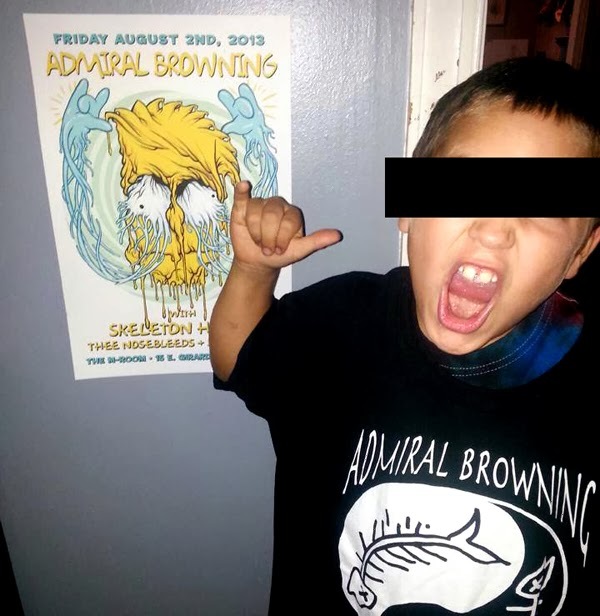 If this kid thinks it's rad then you know it is. 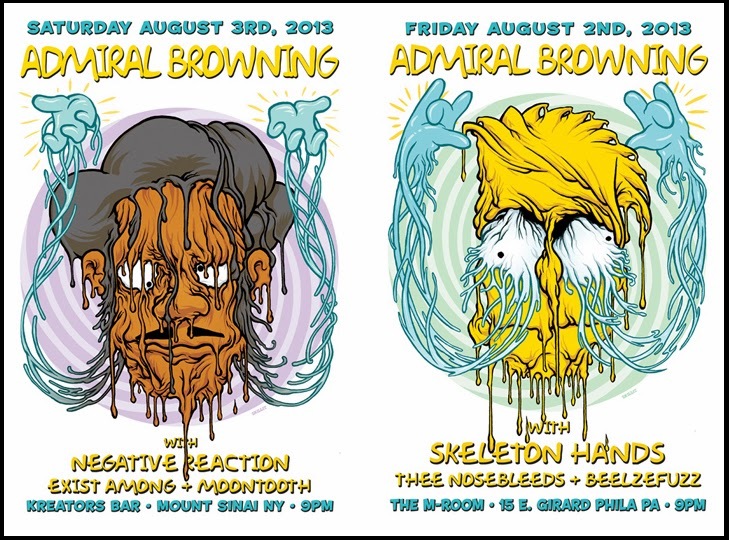 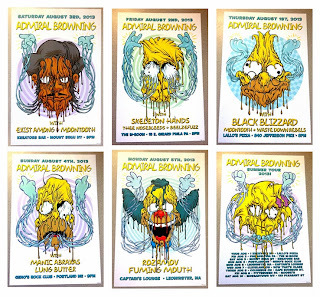 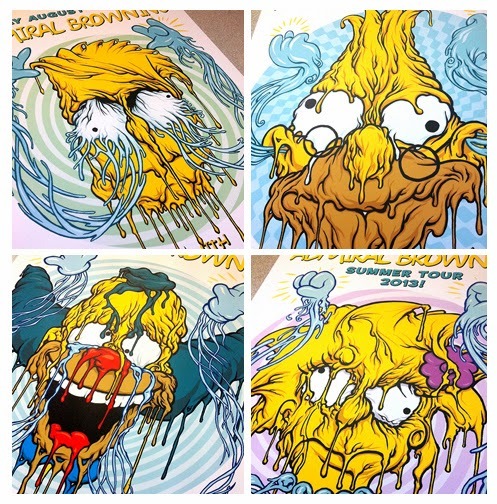 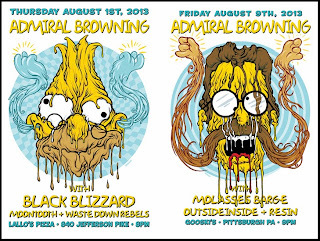 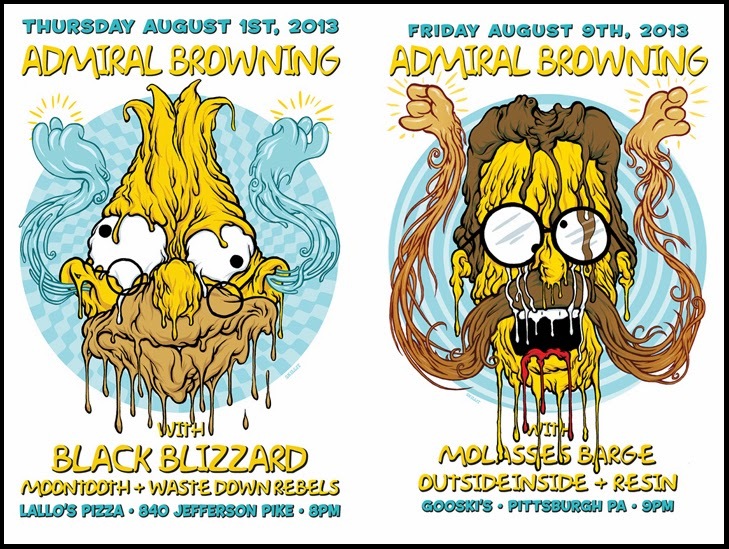 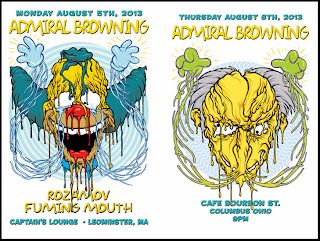 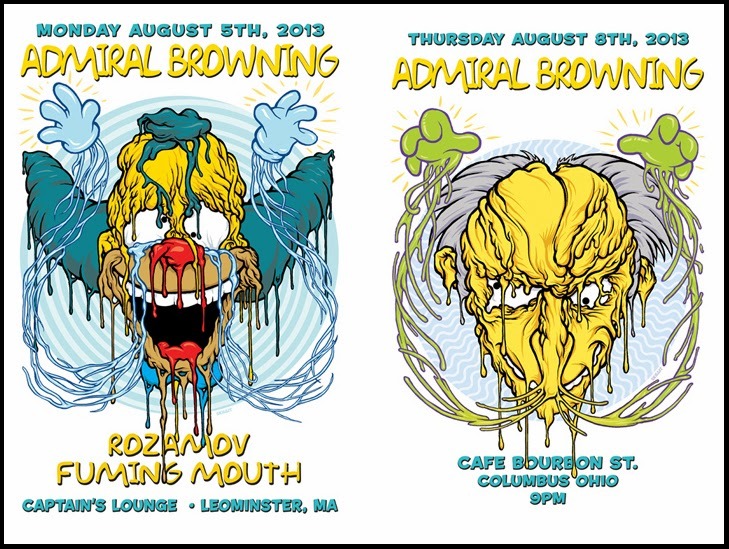 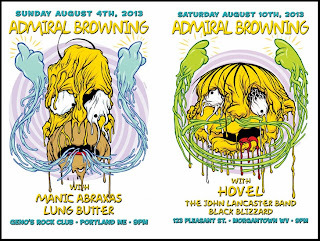 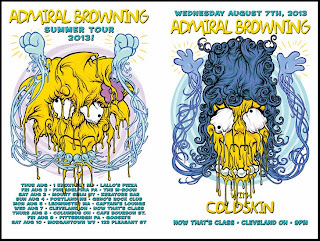 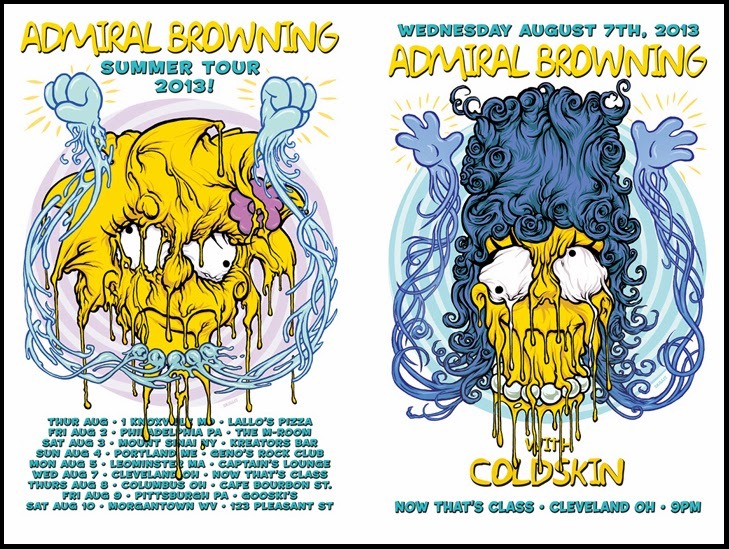 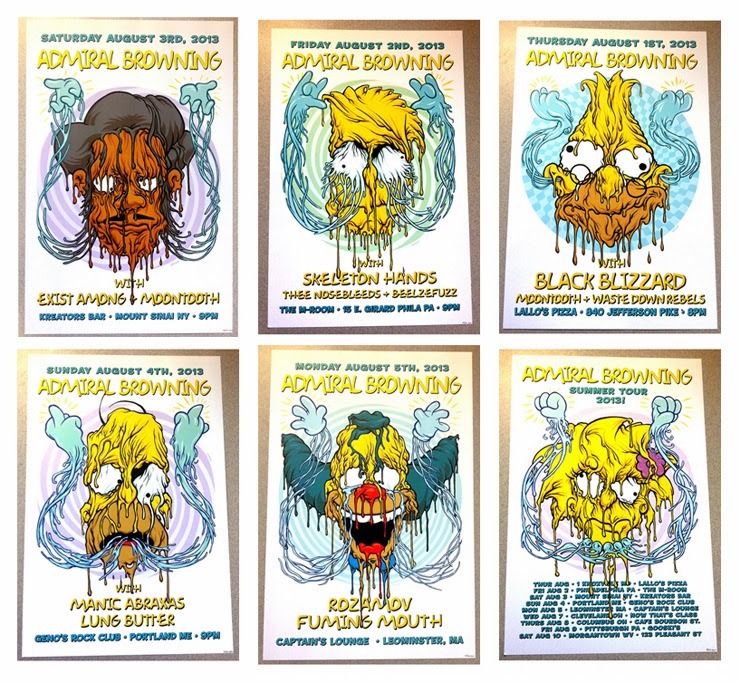 So here's the deal: My buddies in Admiral Browning were going on a short summer tour and needed a poster to promote it. 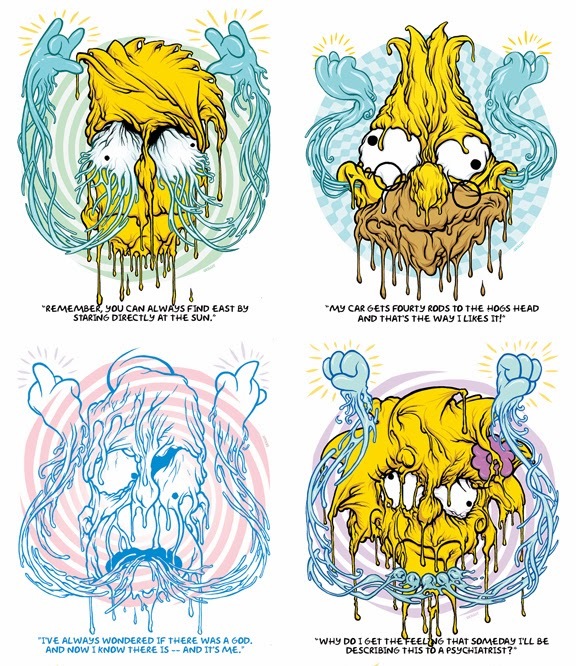 I had an idea for messing with the Simpsons characters so I offered them a poster for every stop on the tour. 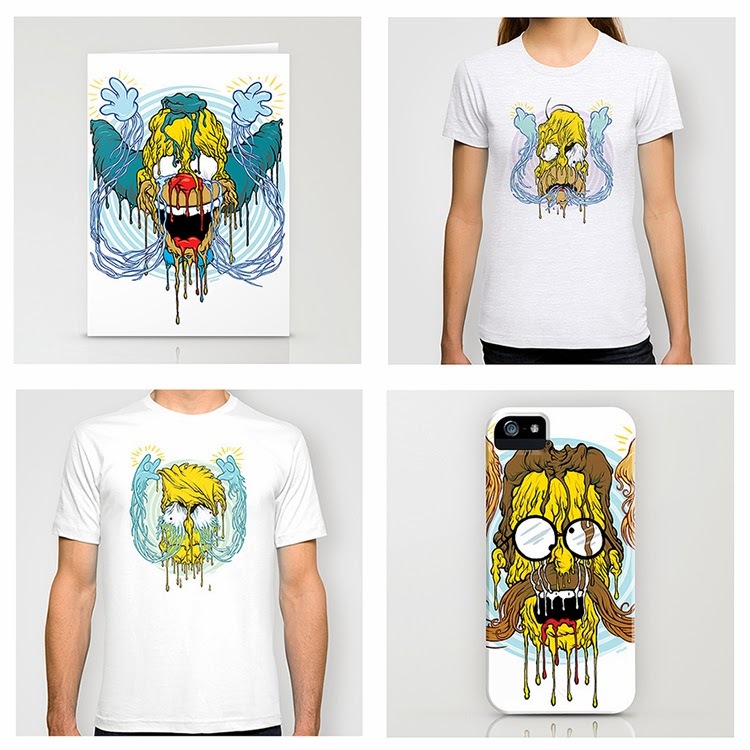 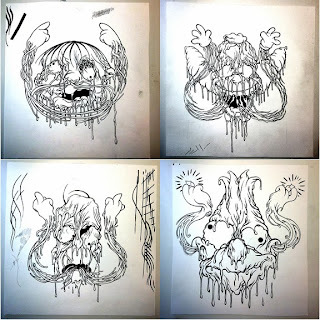 It ended up being one of my most popular projects yet so I made an art-zine based on the drawing side of it, am selling a few shirts of the art and have a few (maybe 3 each) of the posters left to sell at my Etsy shop. 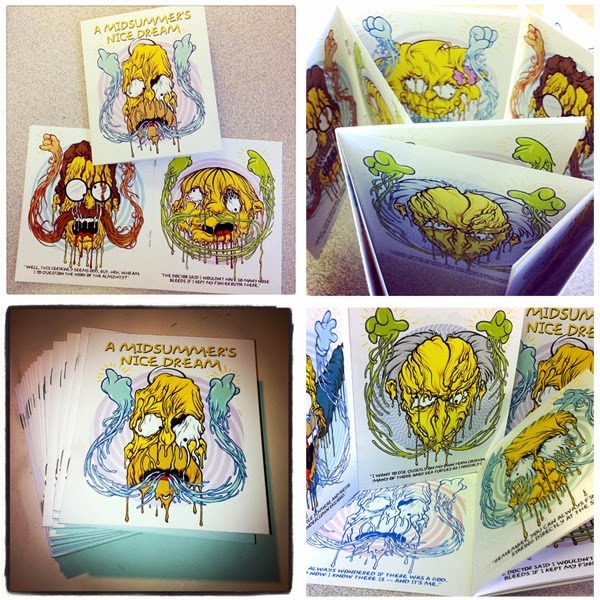 Over on my Etsy shop I sold a few of the zines. 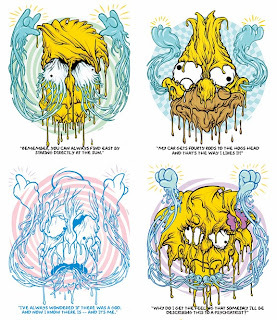 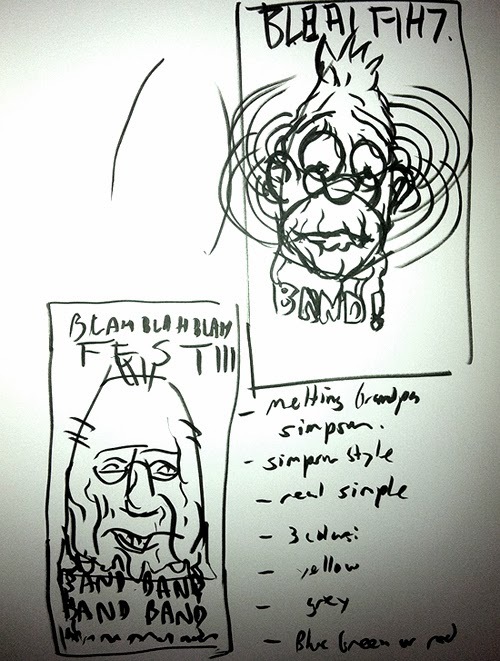 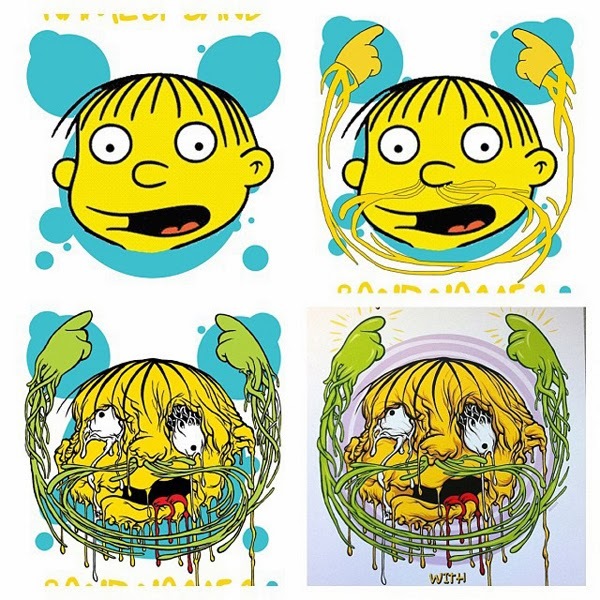 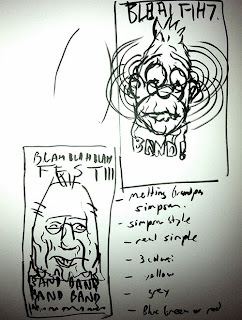 The zines have no band info and captions taken from (and out of) episodes of the Simpsons by each character. 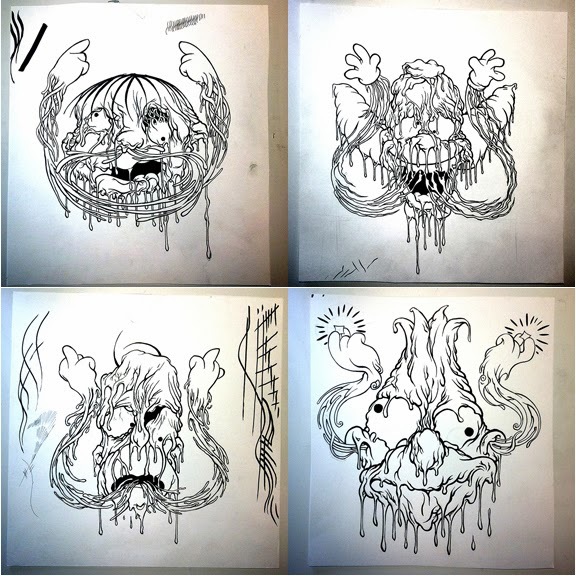 This was alot of fun to make and great to see people's reactions when looking at it. 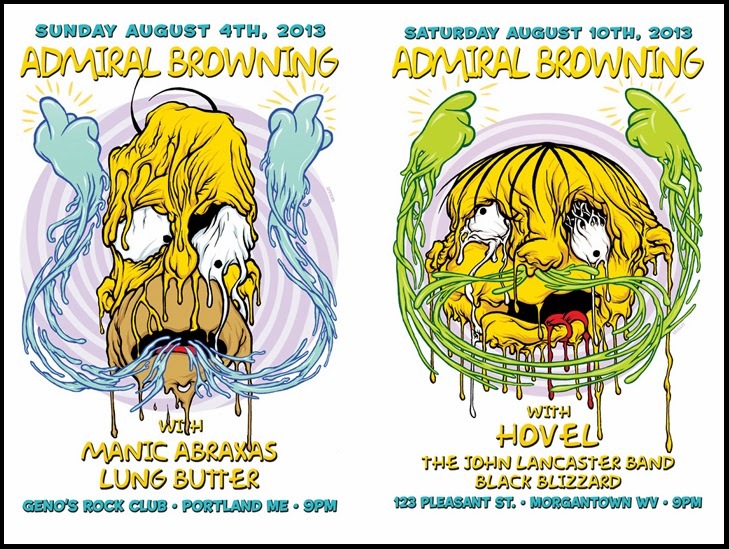 ... and from initial Photoshop mockup to labored drawing scanned and cleaned up then colored in Photoshop!